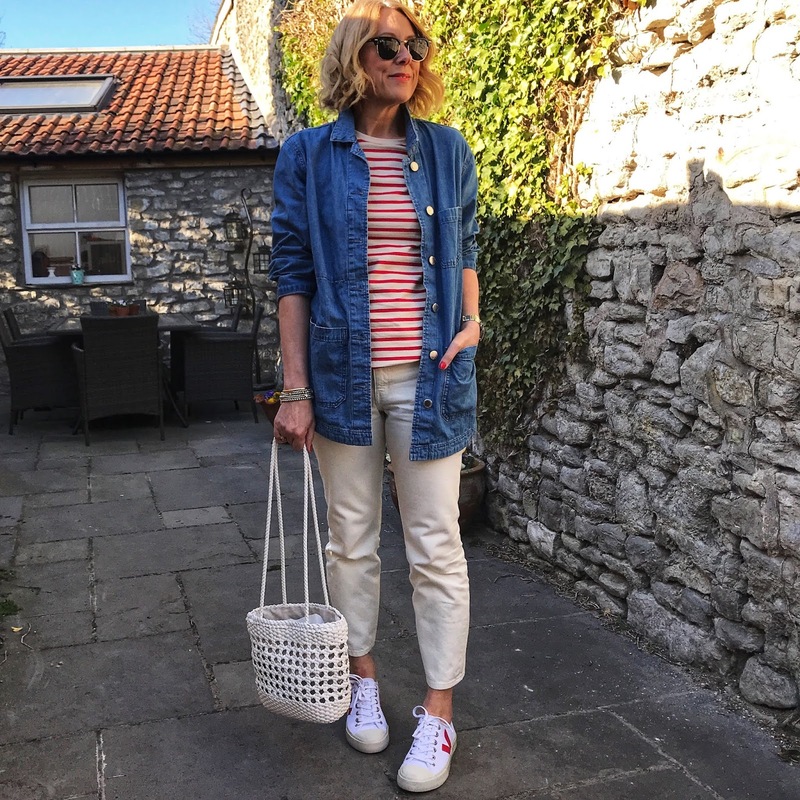 If there is one item in my wardrobe thats guaranteed to pull an outfit together it's a Breton! As a fresh week starts I'm back in my mum taxi-service uniform. If I need to just throw something on this is the perfect combo. 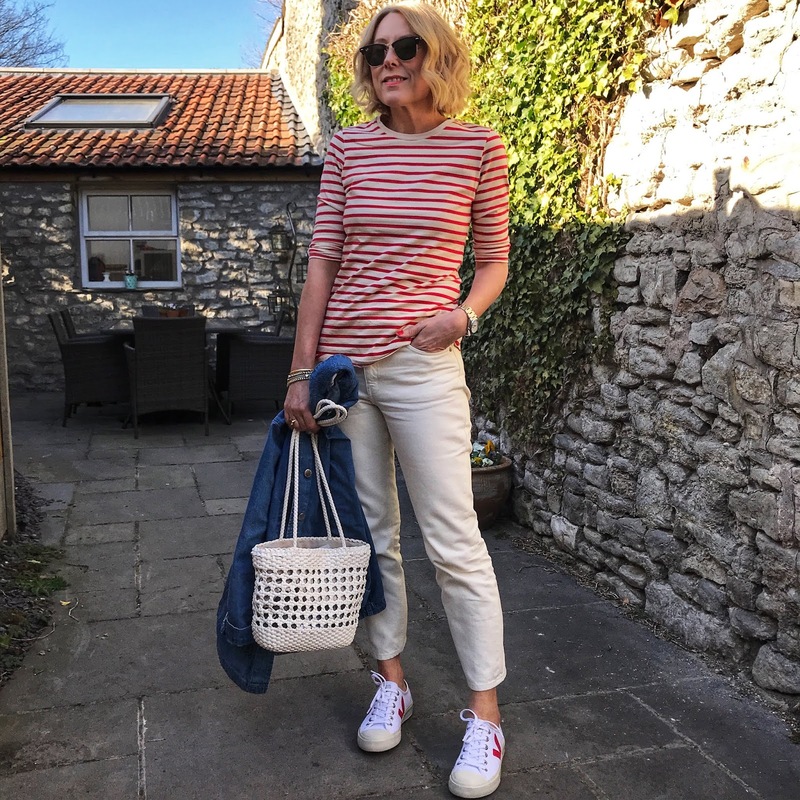 Lavender Hill Clothing Breton top - gifted Arket jeans Veja Trainers Zara bag Rayban Clubmaster sunglasses If you are looking to add to your Breton collection I can highly recommend this Lavender Hill one. 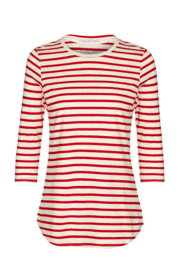 It's 100% thick organic cotton and made in the UK. The brands profile has recently been raised as Meghan Markle has worn two of their sustainable tees see here. I love the crew neck and 3/4 sleeves. I sized up and am wearing the medium. I would describe as a slim fit. The Breton also comes in navy/ecru and green/ecru. Lavender Hill's whole range of ultimate tees can be seen here. Now I promised a 'what's on my radar post today.....I'll have to bring that to you later in the week. I've been somewhat distracted by today's gorgeous sunshine. It's been a proper spring day hasn't it!